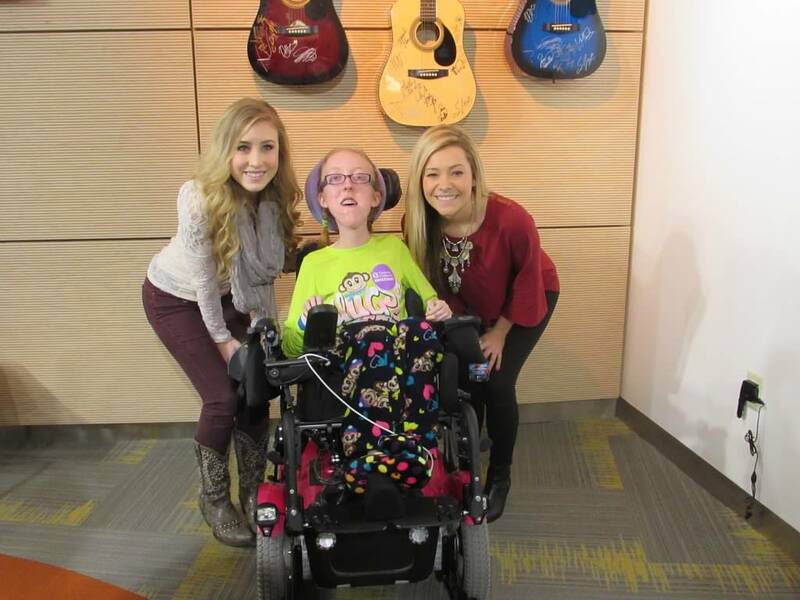 Recap by Seacrest Studios Intern, Whitney Osborne Cincinnati Children’s Hospital was fortunate enough to have Maddie & Tae join us for some fun in Seacrest Studios. Singing their hit song “Girl In A Country Song” with their fellow band mates, Maddie played a mandolin and Tae played an acoustic guitar. In perfect harmony this duo of fun loving singer-songwriters answered questions and took pictures with our awesome patients. During their interview Maddie & Tae revealed their love of Chik-Fil-A chicken nuggets with ranch. Moving to Nashville at 17 was a big step on their path to music greatness, leaving their family pets behind. Both have multiple animals, Maddie described her dog being like Dug from the Disney movie Up, a short attention span with a love of squirrels. One of our co-host Brittney asked them what singers have inspired them most in their lives. Without hesitation they both replied “Shania Twain!” Concluding their visit, co-host Montgomery gave Maddie & Tae clues for the fan favorite game “What’s Behind Me?” using the studio green screen. Laughter flooded the studio as Maddie & Tae guessed which baby animals & celebrities were behind them. The trio, Montgomery, Maddie & Tae proved to be quite exceptional. With such kind and warm hearts, Maddie & Tae brought light and laughter to the Cincinnati Seacrest Studio. It was a wonderful time spent with the country duo, thank you for your time and entertainment!